Walk through the Pella High School parking lot nowadays and you’ll see little white slips of paper fluttering under windshield wipers left and right. Pella High has seen an uptick in the number of parking tickets distributed within the last two weeks. “There has been an increase in the number of tickets here recently, and it’s due to a variety of factors. We have a combination of more people writing tickets and more students parking where they’re not supposed to,” said Vice Principal Derek Schulte. Schulte is one of a number of staff members who are writing tickets, including Dale Otte and the bus drivers, who have trouble maneuvering around the lot when students park illegally and “create” new parking spots. 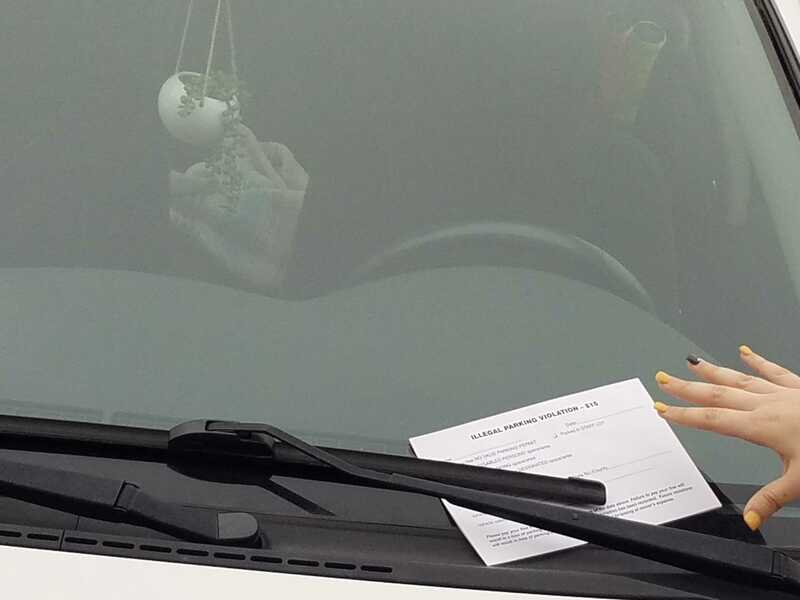 Students have felt the need to park illegally for several different reasons, including not wanting to walk far in the cold and running late, but neither of those are the overarching issue. The main problem is freshmen parking in the school lots. “The only reason I’ve never gotten a ticket is because I purposely go to school really early to get a parking spot because all the freshmen like to take them up,” said Nieves. Even the administration recognizes this problem. “They key thing is this: we’re not trying to go out and just give students tickets for tickets; it’s more about an issue that was brought to us in terms of too many freshmen in the lot. That’s why there’s been a crackdown on parking,” said Schulte. Illegal parking not only results in $15 fines that can quickly accumulate, it also poses a safety hazard and makes it difficult for visitors to find parking. Suggestions for improving the current parking system are floating around among the student body, including bringing back the senior lot or color-coding parking tags by grade, but Schulte’s solution is much more simple. All credit for this article goes to Rachel Boll.